The victim of the brutal attack by her cabin steward last year aboard Nieuw Amsterdam has filed suit against Holland America Line, basically alleging their security was inadequate because it took so long for anyone from the line to respond to calls for help. Cruise ships play a number of roles besides their main function as a floating resort and place for thousands to vacation. At times, those who are closely associated with their flag country act as ambassadors for their country. 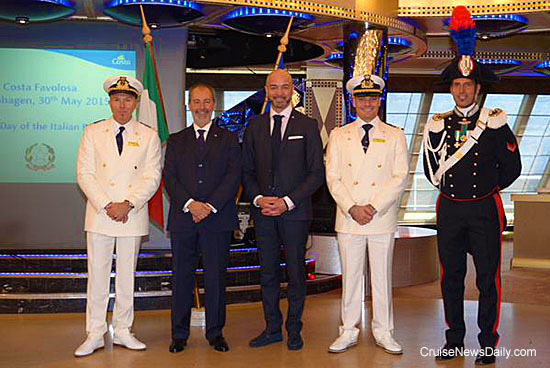 And that’s the role several of Costa’s ships will play next week because Italian Republic Day is coming June 2. 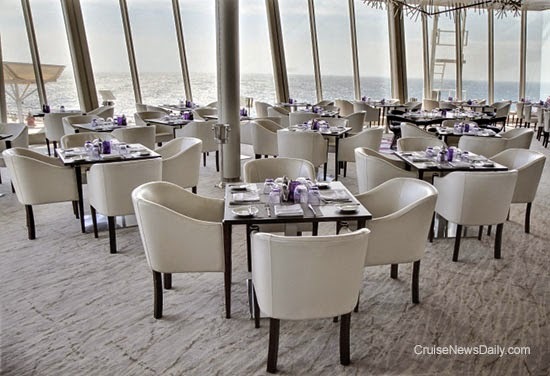 The complete story appeared in the May 28 edition of Cruise News Daily. The Italian ambassador to Denmark visits Costa Favolosa in Copenhagen for Italian Replublic Day. A couple days ago, MSC started running their first national branding campaign on North American television. The first ad is running on various news and lifestyle channels. Cunard put on a spectacular celebration of their first 175 years over the last three days in Liverpool. Of course it was highlighted by the appearance of the three queens together maneuvering in unison in the Mercey. Queen Victoria was the last to depart Liverpool on Tuesday afternoon, but Commodore Christopher Rynd wasn’t going to let such a memorable celebration close out with just a simple sail away. He had one more surprise in mind to salute the residents of Cunard’s ancestral home. Last week we told CND subscribers about the new facilities added to Allure of the Seas during its recent dry dock. 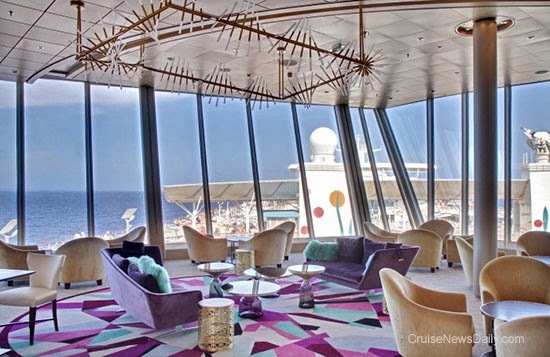 Several of them were expanding and enhancing Royal Caribbean's suite product. These are two of them. MIAMI (May 27, 2015) – Adolfo Perez, a 33-year veteran of Carnival Cruise Line, has been named the company’s vice president of trade sales and marketing. In this role, Perez will be responsible for Carnival’s business development teams and trade marketing functions. Perez starts his new position June 2 reporting to Lynn Torrent, Carnival’s executive vice president of sales and guest services. “Adolfo is a seasoned travel professional with a true passion for cruising and an appreciation for the valuable and important role that travel agents play in the cruise-selling process,” said Christine Duffy, Carnival’s president. “We considered both internal and external candidates for this role and felt that Adolfo’s years of experience in the industry and his commitment to the agency community made him the best fit for the job. I am confident that his outstanding leadership skills will serve the trade and our team of sales professionals in the field very well,” she added. Perez’s experience includes serving as managing director of the company’s UK office where he established Carnival’s travel professional sales network and led the line’s strategic growth initiatives in that country, while overseeing all trade engagement and sales and marketing efforts. He will continue to serve as head of commercial operations for Carnival’s UK business in his new role. Perez joined Carnival in 1982 as an embarkation agent and has held multiple managerial positions within the company’s reservations and sales departments over the past three decades, including vice president of reservations sales, overseeing the line’s reservations contact centers where he developed many relationships within the travel agent community. He most recently served as the company’s vice president of new markets and new product marketing. “Working with travel agents for the better part of three decades has provided me with keen insight into the tremendous impact of agents on the overall success of our business,” Perez said. “I am thrilled and honored to lead the best sales organization in the travel industry as we continue to work with agents in developing new and innovative ways to grow their business,” he added. A resident of Miami Beach, Fla., Perez earned a master’s degree in business administration from Florida International University in Miami, as well as a Certified Travel Counselor (CTC) designation from the Institute of Certified Travel Agents (ICTA). MIAMI (May 27, 2015) – James Heaney, an experienced financial executive with more than 25 years in the cruise and hospitality industries, has been named senior vice president and chief financial officer for Miami-based Carnival Cruise Line, the world’s largest cruise operator. In this capacity, Heaney will be responsible for all of the company’s financial, accounting and information technology functions. He joins Carnival June 22 reporting to President Christine Duffy. Before joining Carnival, Heaney spent three years as CFO for SeaWorld Entertainment, Inc., responsible for overseeing the company’s financial organization. He previously held a number of executive financial positions, including CFO and senior vice president of finance and travel operations, at Disney Cruise Line where he worked for 17 years. Prior to that, Heaney held various financial posts at Royal Caribbean Cruises, as well as Pueblo International, which operated a large Florida-based grocery store chain, and Gould, Inc., a manufacturer of super mini-computers used primarily for military application. Norwegian Cruise Line sent a letter out to travel agents this afternoon telling them that the line’s month-old policy prohibiting passengers from taking food from a restaurant to their stateroom has been rescinded. The reversal comes as a result of feedback from their customers. Have you wondered why more and more ships are going to Australia? The number of Australians going on cruises is growing by leaps and bounds. That’s why. The figures have just been finalized, and the country has passed an important milestone. In 2014, more than a million Australians took a cruise vacation. 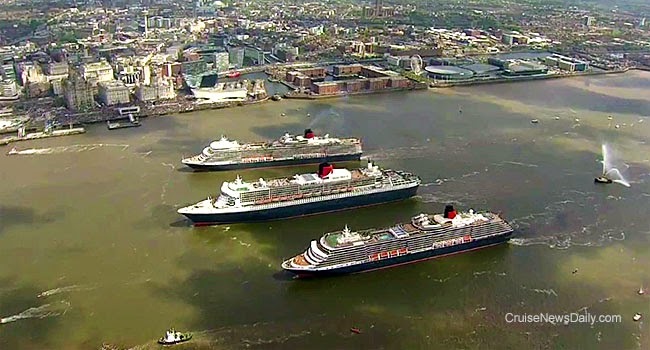 Cunard's three queens met this morning in Liverpool to mark Cunard's 175th anniversary year. Do you want to see more? Cunard provided live coverage of Monday's entire event, but if you are in the US, you had to get up at the crack of dawn (or before), but the placed video of the live coverage on YouTube for you to enjoy anytime. Courtesy of Cunard Line. All rights reserved. May not be copied or used without permission.